Spring Update + Chicago Booking for May! 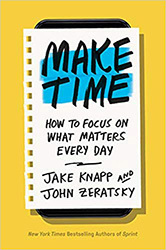 Make Time: How to Focus on What Matters Every Day. ï»¿Chicago, Iâ€™ll be in your city at the beginning of May! You guys didnâ€™t get as much notice as Atlanta unfortunately because quite a few spots were booked ahead of time, but I have 3 spaces left available on May 2 and 5. You can check out the details and secure your session here! On the home front, weekends are going F A S T.
I updated my calendar this week, andâ€¦ there are only 3 weekends left available for May and June! Plenty of weekdays available, so if youâ€™d like to get on the calendar sooner than later, that may be your best bet. Want to get on the Spring Calendar? Check out the available dates and if you have any questions, feel free to shoot me an email! Iâ€™d love to photograph you this Spring for your headshots, brand, graduation, or family photos! Thatâ€™s it for today! I hope your week is treating you well and I look forward to creating beautiful art with you this Spring season!